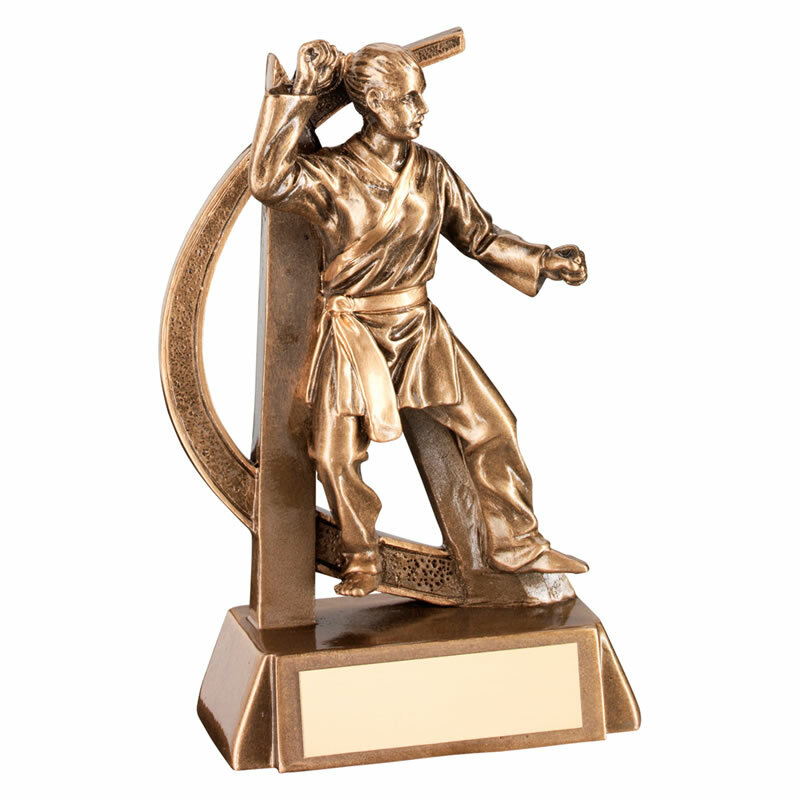 These resin martial arts figure trophies are perfect for girls or women's martial arts awards. Crafted in durable resin with a bronze and gold colour finish, they stand 6.75in / 171mm tall and feature a detailed figure of a female fighter set on a base with engraving plaque. They are offered here with engraving options for the base plaque.